Fancy, chic and classy, this gorgeous men’s jewelry box offers a most amazing and efficient presentation and also a safe and intelligent storage of your entire collection of jewelry, accessories and not only! This wonderful box was constructed out of durable and elegant PU leather that offers your jewelry an attractive look too! Chic, attractive and smartly designed, this wonderful and accommodating men’s jewelry display box offers a most efficient and beautiful storage and presentation alike of your beloved jewelry products and not only! The box was constructed out of strong and sturdy carbon fiber and it’s also got durable metal hinges too. Elegant, stylish and finely designed, this beautiful and impressive item of jewelry display proposes an efficient and attractive manner of exhibiting your watches and also safely storing them as well! The box was created out of durable and resistant material and it will also keep your belongings from getting damaged. Chic, fashionable and elegant, this gorgeous jewelry box offers a wonderful and efficient manner of both accommodating and exhibiting all of your accessories and jewelry items anywhere you want! The box was designed out of fine and durable MDF material with PU leather that also provides a chic and attractive look too. 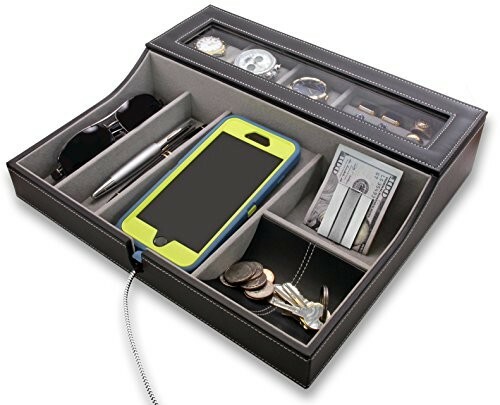 Beautiful, classy and finely designed, this wonderful and attractive men’s jewelry box proposes an intelligent manner of storing and arranging all kinds of jewelry and accessories in one single place without a problem! The box is constructed out of durable and sturdy material and it’s lined up with a soft and elegant PU leather for a more distinctive look too. 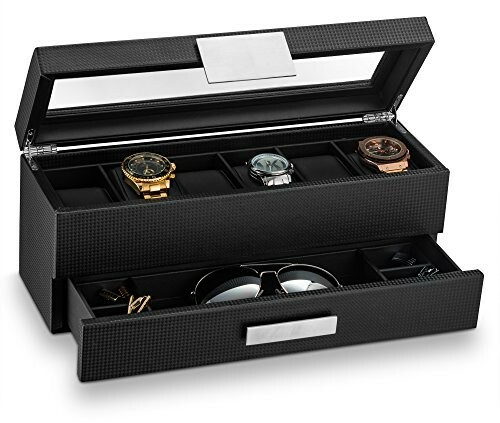 Beautiful, fashionable and elegant, this finely and sturdy designed men’s jewelry box provides an efficient and intelligent way of organizing and safely storing all sorts of jewelry items, accessories, watches and so on and so forth! The box is made out of fine and durable PU leather and it’s got a gorgeous dark brown color as well. 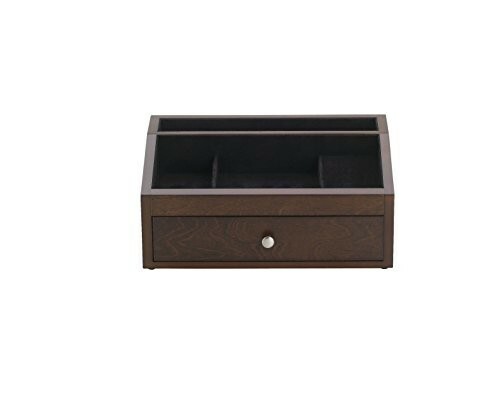 Fancy, chic and professional, this sturdy and spacious men’s jewelry box offers an intelligent and efficient manner of presenting and also storing all sorts of jewelry products and accessories without a problem! The box has been constructed out of strong and resistant material and premium leather as well. 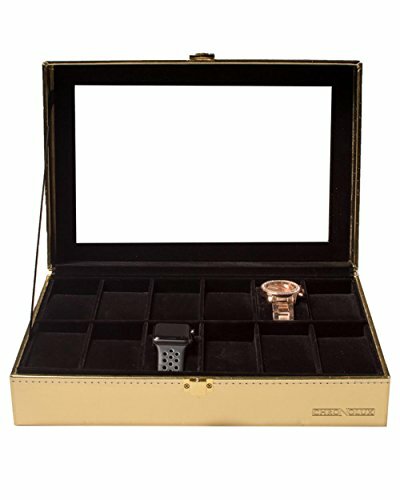 Elegant, professional and wonderfully designed, this impressive and beautiful men’s jewelry box offers a wonderful and efficient manner of storing and arranging your collection of watches and plenty other accessories and not only! 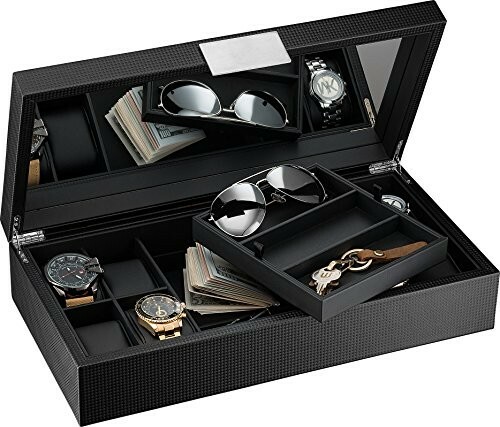 Gorgeous, astonishing and elegant, this amazing and unique men’s jewelry box offers a truly astounding and impressive manner of storing and arranging your beloved collection of watches and not only! The box was elegantly designed out of strong and solid wood so that your belongings will be completely safe at all times too. Stylish, elegant and professionally designed, this chic men’s jewelry box offers a wonderful and efficient presentation and also a safe storage of your entire collection of accessories, jewelry and so on! The box was designed out of strong material and it’s been covered with a fine and premium quality faux leather for a more distinguishing look too. 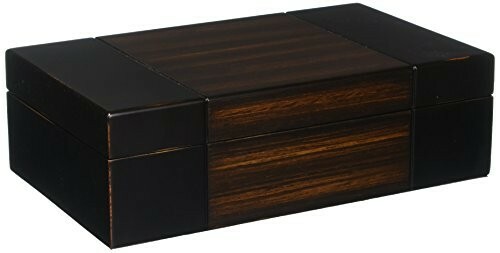 Stylish, chic and classy, this wonderful and attractive men’s jewelry box is a great alternative to accommodating, arranging and exhibiting all your beloved jewelry, accessories and many other products! The product is made out of durable and sturdy PU leather that offers it a chic and elegant look as well. 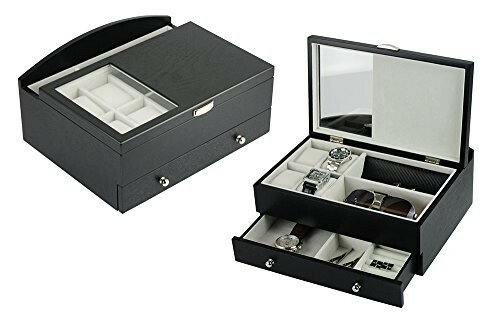 Stylish, fashionable and elegantly designed, this amazing men’s jewelry box is a wonderful choice for a chic presentation and also a safe storage of your jewelry, accessories, watches and so on and so forth! The box is compact sized and it was constructed out of strong and high quality mahogany wood for a sturdier and more resistant storage too. 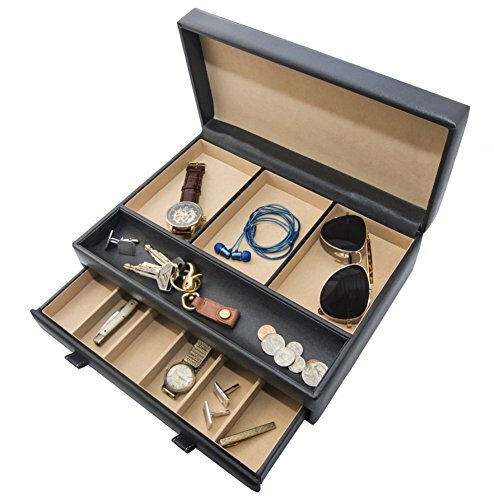 Elegant, stylish and professionally designed, this amazing men’s jewelry box proposes a most efficient and attractive presentation and storage of all kinds of accessories, pieces of jewelry and so on! The box was constructed out of fine and handcrafted leatherette so it is soft and comfortable at touch too. Gorgeous, stylish and incredibly designed, this rich and fancy item of jewelry display is a great alternative to the storage and presentation of all sorts of watches, trinkets, accessories and so on! The box was created out of strong and resistant MDF material and it also features a lovely and lush PU leather for a more attractive look. Strong, elegant and impressively designed, this wonderful men’s jewelry box offers a great and efficient manner of presenting, arranging and safely accommodating all kinds of pieces of jewelry and accessories in one single place! The box is spacious and it was crafted out of durable MDF material and premium quality leather as well.